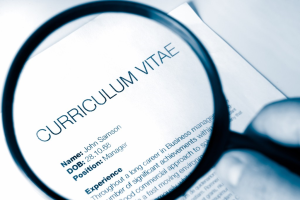 Most of us who have applied for a job have tailored our CV to fit the role for which we were applying but have you ever thought of adjusting your CV in consideration of the customs of the country in which the job lies? Just as countries have varying social and business customs the same goes with cv writing. There is no known global CV standard but most countries have their own unwritten standards worth looking into before sending your application. For example in some Eastern countries a person might even include their parent’s names and even their own blood type. In America it is not customary to list one’s birthdate. In fact it is illegal for a potential employer to ask for certain information nor is the information publicly available. So these and other things are therefore not expected or even wanted on a CV for fear of a variety of ramifications. Here in Sweden a great deal of personal information is public record and therefore appreciated by hiring managers. The point is, if you want your CV to stand out, or in some instances blend in, do your research. Customized CVs do work.